I feel that I have been challenged by the latest Coursera SEO Massive Open Online Course (MOOC) that I have done. I was carefully taken through the detail of what I needed to know by the host Rebekah May from the University of California Davis, earlier quizzes had tested my knowledge as we went along and when it came to the formal quizzes (the ones that count towards your final grade and being able to continue the course) – there was no easy way to pass. Twice in the module I had to go back a second, or a third time to make sure I had understood something before I could pass the ‘multiple choice questions. This was straightforward: I could listen and watch through all the video content – around two hours worth. Or try to identify the segment of 6 minutes or so that might give me the answer. I took notes throughout this Coursera MOOC on SEO. I am an active listener. These are sometimes enough to help me pass the quiz. In this course the ‘Multiple Choice Questions’ and answers were carefully written and planned. They were a learning experience in themselves. They made you think. It made the learning stick. For the last part of this module on Search Engine Optimisation I went back five or six times and was forced to concentrate, obliged to properly look at the extra reading and only then did I pass with the requisite 80%. You need to focus. You need to clear your head of other distractions. I’ve done online courses where 40% is acceptable as a pass mark and doing only 50% of the course is enough to count. This diminishes the learning experience and value. Finally, the end of module assignment, probably far tougher than had been planned for, really did need the 8 hours as suggested to complete. Once again, knowing my peer group, I knew that I would not be let off easily so I took my time, took care, did a draft, ‘slept on it’, added to it, checked again, then did my utmost to follow the requirements to the letter to make it easier for others to assess it. 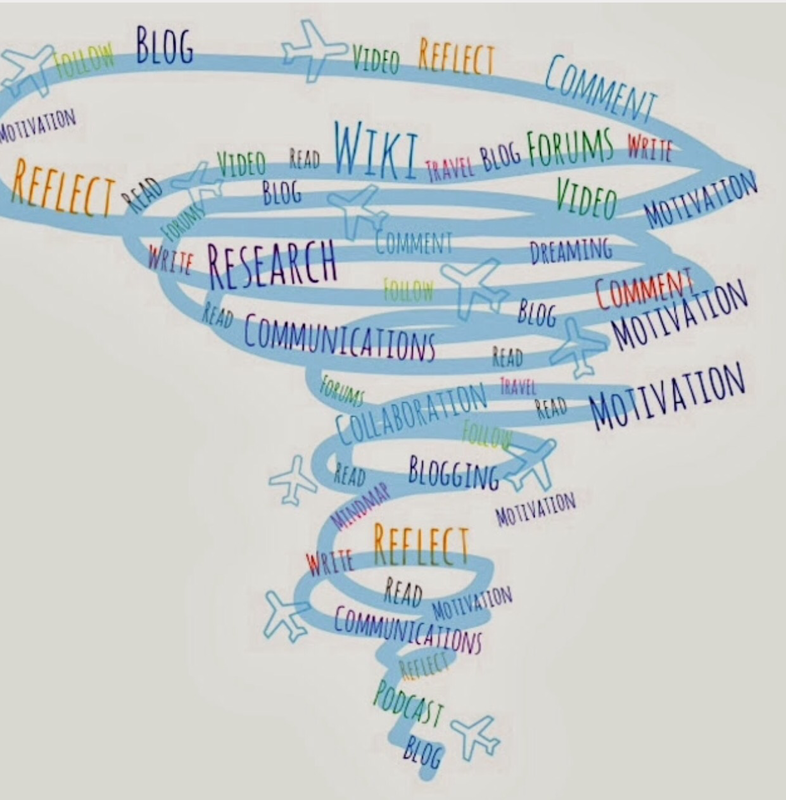 How I learn is informed by another Coursera Course from Barb Oakley: Learning How to Learn! I know that effort, that ‘time out’, that not understanding is part of the learning process … you just have to persevere. Bringing the power of the ‘Oxbridge Tutorial’ to MOOCs. How can we recreate and therefore exploit the ‘Oxbridge Tutorial‘ – a powerful, weekly get together between professor and 1 or 2 learners traditionally used in the collegiate universities of Oxford and Cambridge, England, in a Massive Open Online Course? (MOOC). Outrageously ambitious, audacious and naive I have been wondering of the qualities of the ‘Oxbridge Tutorial’ could be taken online and made ‘massive’ – i.e. delivered to 1,000, or 10,000 or more at a time. Putting this thought to an academic while discussing their ‘poster’ on a paper they had published I was pointed towards an online course on Coursera; Business Model Canvas. Overnight I did a week’s worth of modules and have no posted my challenge. I’ve had the extraordinary privilege to recently meet two people in person under whom I have only studied online (or in a book): Barb Oakley of ‘Learning How to Learn’ ‘fame’ and Gilly Salmon who coined the terms ‘e-tivities’ and ‘e-mentors’. Things they both said, or revealed has me wondering if this challenge I have set is counterproductive or even irrelevant: that these ‘elites’ such as Harvard, Cambridge and Oxford are by their nature exclusive and therefore too daunting and off putting to ever be ‘massive’. Barb Oakley’s MOOC has had more students than ALL the students who have ever done all of the Harvard MOOCs combined! Gilly Salmon using a model that suggests a matrix that is or could shift from Education 1.0 (one point zero) to 3.0 considered how much Coursera has achieved so far – I think the prompt from her interviewer was meant to have her waving the orange, blue and white flag of educational revolution, but she didn’t, in fact she felt that as far as e way we learn she felt that ‘Coursera’ we’re so far only getting 1 or 2 things right. She’s right to be cautious. She knows her history when it comes to innovation and change and may well have studied it and taught it during her tenure at the Open University Business School. The truth is these MOOCs still look, sound and feel like traditional learning. While the platform will be a ‘Coursera’ and others in the market for MOOCs, and others that are yet to be created – or exist already (don’t forget the power of YouTube), I put my ‘money’ on the ‘little guy’ – the modest, authentic, DIYer who has a skill or putting ideas across in a way that is memorable, makes sense and is academically ‘sound’. I think of Barb Oakley, rather incongruously as a kind of ‘Joan of Arc’ too: followers and gatherers turn their heads when they hear the ‘truth’ spoken from the more unlikely candidate. She’s an engineer, not from education. Let’s have an artist teach anatomy, a business Prof teach poetry, a mathematician teach sports science, a data scientist teach graphic design, a geographer teach Spanish. Gilly Salmon wants those of us who hanker about teaching online to be ‘e-minators’ (read her books, she loves putting e- in front of things). Pronounce this ’emanator’. By this she is trying to get away from anything that has the teacher as the ‘font of all knowledge’ trying to unzip their head and pour the content into your head, the old paradigm of ‘knowledge transfer’. Rather educators should be enablers or catalysts. Let students do and find out more for themselves in their own way. Returning therefore to this concept of the ‘Oxbridge Tutorial‘ – the 5,000 ‘elite’ educators in the world, if there are so many, cannot go 1 to 1, or even 1 to 3 with the 80m or more hankering after a university education. We have to compromise and expand to include ‘associate lecturers’ or ‘teaching assistants’ as well as ‘mentors’ even ‘learning buddies’. Creating an Artificial Intelligence ‘AI’ professor is surely not the solution either: it won’t turn out like that just as we don’t see robot mechanics looking like men assembling cars in automated factories. Maybe they’ll be a voice and then thought activated implant in our brains? Or might a tutor try to run a huge ‘stable’ of students by using data capture, grading metrics and the like from a hub, like a Grand Master in chess playing 27 simultaneous games our ‘blog-jockey prof’ running as many tutorials simultaneously around the world as their students wake up, go online and share a thought. Might typed text in these interactions be ‘data mined’ and analysed automatically to some degree? Gumption and enthusiasm has me attending the Fourth Annual Global Coursera Partner Conference at The World Forum, The Hague, The Netherlands … The World, I feel like adding. Four years ago I will have been in my final modules of the Master of Arts: Open and Distance Education and wowing Daphne Koller’s TED lecture on the future of learning. She went on to co-found Coursera. Well, I’ve sat behind her in conference, brushed passed her in various meetings, breakouts and hallways and all in all behaved like a shy fan. I’ll introduce myself to her: everyone does, I’ve met so many of her team. I’d be wrong to compare it to being at ‘Court’ and trying to gravitate towards the ‘centre of power’ – there’s no snobbery at all, just a preponderance of Americans with laid-back California shuffling up against the perceived formalities of Europe. I’m here, in The Hague, (first time to The Netherlands) because of an online discussion at the conclusion of the Coursera MOOC ‘Learning How to Learn’ a few days ago. Dr Barbara Oakley invited her online students to come to the Marriot Hotel on Sunday night for a ‘meet up’. I realise now that this was a ‘reach out’ to some of the 14,000, or was it 140,000 students who did this short online course in January this year. I made it 30 minutes late to the meet-up having flown in on the EasyJet flight from Gatwick. It was like fans at a book signing (books were signed). Registered to attend the 4th annual Coursera Partner Conference. I had convinced the organisers that I was responsible, genuine, interested and willing to contribute, and come out for three days. And yes, I met Barbara Oakley, the course chair, author and presenter of ‘Learning How to Learn’. She spotted me looking sheepish and us Brits are (and do), came over, must have recognised me from a profile photo (the one above that I use everywhere) and made me feel welcome, acknowledging a short email exchange we’d had that morning that had given me the green light with the organisers. Two hours of ‘networking’ with Barb’s other students who had come in from within 50 miles of the Marriot Hotel, The Hague and my first moments of the conference are done. Yesterday the 4th Coursera Partner Conference started at 6.00am. I was out of the hotel door at 7.00am and making small talk with other delegates ten minutes later. The very first person I met, from California, turned out to have ‘gotten’ into the Coursera Conference under the same pretext as me: a ‘student’ of online learning, a ‘student’ of ‘Learning How to Learn’ not an official ‘partner’ … and soon keen to hear all about the MAODE, which I ‘sold’ to her. Just over 12 hours later I was trying to leave the conference, after keynotes, breakouts, workshops, poster pitches, creative brainstorming, and friendly banter and networking at every coffee and meal break. I say ‘trying’ because I realised that as I left the World Forum (a vast, to my eyes ‘Commonwealth’ like UN edifice) that I was taking a mental break from it all by ‘looking for a picture’ and photographing some colourful chairs in the entrance lobby. I say ‘trying’ as a delegate, one of the 550 or the 600 I had not yet met, offered to take my picture thinking I was itching to do a selfie and we soon got talking about the conference, and because she is Dutch, the wonders of The Netherlands and The Hague. She thought I’d have been better off staying in a hotel in the city Centre, a 10 mins tram ride up the road. She recommended which museums I could fit into my 1/2 day I have given myself on Wednesday. Ironically, I was taking photographs as part of another Coursera course I am doing” ‘Photography: Basics and Beyond’, a hobbyist one. I got back to the hotel and even found the energy to do 30 mins of that: I know from experience never to get behind with studying – a little bit everyday is the only answer. I’d like to think I have a couple of weeks of thinking and writing to sort through it all. I realise now I ought to have recorded the ’30 second pitches’ of all the ‘Posters’ I stood beside (these are infographic summaries printed onto A1 sheets of academic papers – in this case on studies into e-learning, and of Coursera MOOCs in particular). The content I share from the 4th Coursera Partner Conference will be written with the respect it deserves. Some information is under a press embargo for another week. I met people who use competitive platforms, such as EdEx and Udacity, so a degree of ‘openness’ is apparent. I haven’t met anyone yet who uses The OU offshoot ‘FutureLearn’ as a platform. With its heart in Australia and the experience of ANZAC combatants and families this course has a rich variety of contributors and approaches. There are the mandatory short ‘pieces to camera’ by academics and contributors, but also short films, further reading to follow and a modest written assignment – to write an epitaph. Don’t even call them online courses. I suppose therefore, don’t call it e-learning either or even online learning … it is simply ‘learning’. I am on my eighth or ninth course with FutureLearn. I may have three or four open at any one time and complete two of these at least. I love ‘Medicine and the Arts’ from the University of Cape Town while I am both maddened and intrigued by ‘The Mind if Flat’ from Nick Chater. I’m certain that online courses longer than a couple of weeks should not be treated like books or TV programmes. 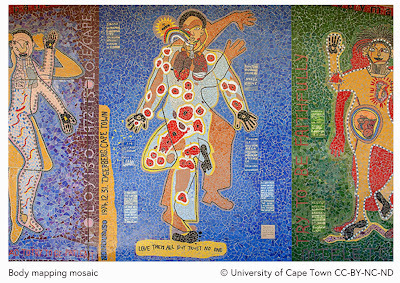 What works best, as the University of Cape Town shows, is to get the entire team involved. They have a lead host and presenter who each week introduces several colleagues, something like four to six each week. It is stimulating and necessary to hear from so many different voices. Brand and technical aspects. Think of this as the channel. It has both technical and brand qualities. Is it smart? Is it current? Does it all work faultlessly? Is it intuitive? Is it simple? I’ve done many FutureLearn courses but struggle every time with Coursera and EdX. Feedback on Udacity is dire from both suppliers and users. You can’t make a movie in $125,000 dollars. If a 30 point 16 week distance learning course from the OU costs £1.5m to produce should a 3 week MOOC cost up to £300k? It’s a poor comparison is the cash cost may be a fraction of this: a university team’s job is to plan a programme of teaching anyhow. What matters is how a budget is spent. The learning designer for an online course is like the scriptwriter for a movie: they provide the blueprint. Is the investment worth it? Are you true to your subject? Don’t try to be something you are not. Is it ‘made’ for an online course, rather than shoe-horned from a regular, traditional ‘classroom’ lesson plan? Would it be better served on a different platform in a different way? Can you teach sports coaches or movie directors online? Or rather, what can you, and what can you not teach them? Are you fully exploiting the affordances of the platform and easily linked to alternatives on the Internet. Who do you attract and is this the same as who you get? Who do you attract by level of education, age, gender, culture and location. Are you getting the audience you want as participants? The contribution participants make is crucial. Are there enough active voices to sustain this? Be aware of the extreme differences in digital literacy skills and competences. Do you know your audience? How do you relate to those who start the course? Do you try to appeal to multiple ‘personas’ – a dozen student character types, as the Open University does, or do you appeal to one person only, as an author would do? One advocate over more than a couple of weeks will tire. It will feel like an ego trip any way. How good is the mix of contributors? Both in what they have to saw and show, and their levels of and variety of experience. An online course is not necessarily akin to a TV documentary that can be carried by a single presenter. Is it a one man show or a team effort? What are the hidden and implicit goals? To attract students, to build reputation, for the good of mankind? To make money? To massage an ego? What do results say in terms of those completing a course? Doing assignments and getting to the end then singing the praises of the team? Another guide can be whether as a production fulfils the initial Creative Brief. Both qualitative and quantitative research is required to provide answers. Is is possible to stay true to your own brand, even have a distinct image, when on someone else’s platform? Are the values of the design, creation and delivery consistent with the standards and image of your institution? If not publishing, and not TV what is it? It cannot be a lecture series with a reading list and essay put online. It has to pick the strengths from individual media platforms to succeed in this multimedia setting. These must never be taken lightly. There are examples of trite, ill-thought through multiple-choice quizzes: these are a learning opportunity. A good quiz makes you think, challenges your knowledge, and provides feedback whether you get it right or wrong. Bravely ‘Medicine and the Arts’ has both quizzes and a regular written assignments. These are not onerous yet some participants are scared by a 300 to 500 word piece of writing. They oblige you to read back through the week’s activities before replying. How ‘sticky’ is the content? Has it got people talking to each other, not simply replying to the headline. Are people connecting as ‘friends?’ Are they continuing this relationship beyond the ‘walled garden’ of the ‘open’ learning site? Does interest in the subject, in the presenters and the institution ‘have legs’ – does it last for the years before a person may make the time, and raise the funds, to take a formal course?